Hello 2014 and au revoir 2013! Urgh I am jet lagged to hell at the moment. We arrived back in Dubai and into our apartment at 2am on the 1st Jan but we didn't actually get to sleep until about 6am. And my body clock has been all over the place since then-not sleeping til 2am and then not getting up until late. We also made the mistake of letting the cats sleep with us the first and second night back and now they take it as a personal insult when we close the bedroom door-wailing and howling and scratching to get in-ALL NIGHT LONG!!! I would just rather give into them (which I did the night before last) but Mike wouldn't let me last night saying they had to get used to it but we literally had no sleep because of the little buggers. Tomorrow is my first day back at work and by golly it's going to be a massive shock to the system!! 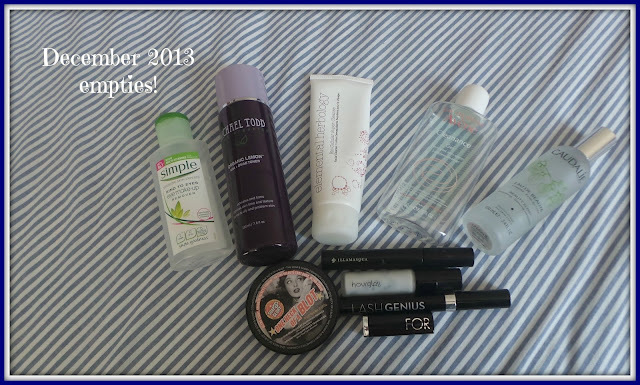 Here's my first empties post of 2014 but covering all the products I used up in December 2013. First up, I finished up 3 cleansers. I really like the brand Elemental Herbology and this thick cream cleanser was no exception. I did a full review of this cleanser recently here. It's packed full of good stuff for sensitive skin and is a good 'second cleanse' cleanser. The only downside is it is not good at actually removing make up and for that reason I wouldn't repurchase even though I did enjoy using it. 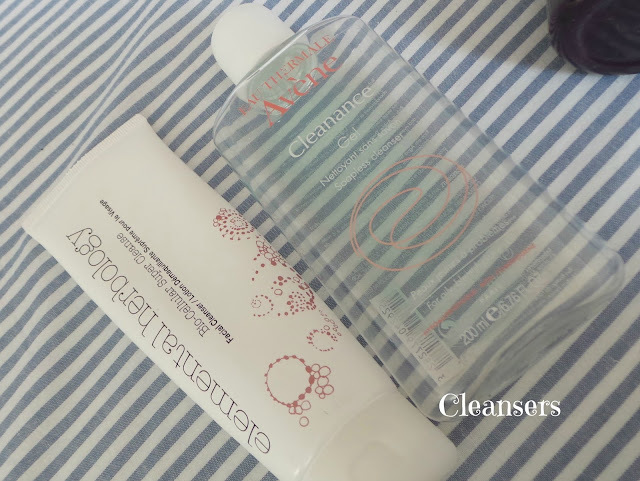 I used the Avene Cleanance Gel as my morning cleanser. The pro's? It's reasonably priced and the 200ml bottle lasts forever (although don't store it upside down as it will leak). It also washes off easily. The cons? For me, I felt like it was suited to younger skin and although it didn't strip or dry out the skin I didn't really feel any massive benefit to using it. But it was ok for a quick morning refresh. Possibly my favourite balm cleanser this year, the Clinique Take The Day Off cleansing balm does exactly what it says on the tin. It removes everything-include eye make up. I really like the texture as it's a fairly solid balm that you apply to dry skin, but once it's on your fingers the warmth of them melts the balm to a very malleable balm/oil making massaging it into your skin a dream. I then splash my face with water and massage a bit more before going over my face with a damp flannel. It doesn't contain any nasty ingredients or any fragrance at all and despite the fact that yes it looks like lard it's blooming great! I love it so much I ordered two more directly from the Clinique website as there was none at duty free earlier this week. What have I replaced it with? I have gone back to the Emma Hardie Amazing Face Moringa cleansing balm which I have used before, but this time it seems to contain exfoliating grains in the balm whereas the first tub I had definitely didn't. Have they changed the formula? I also used up two toners-one I utterly loved and one I just can't get on with. 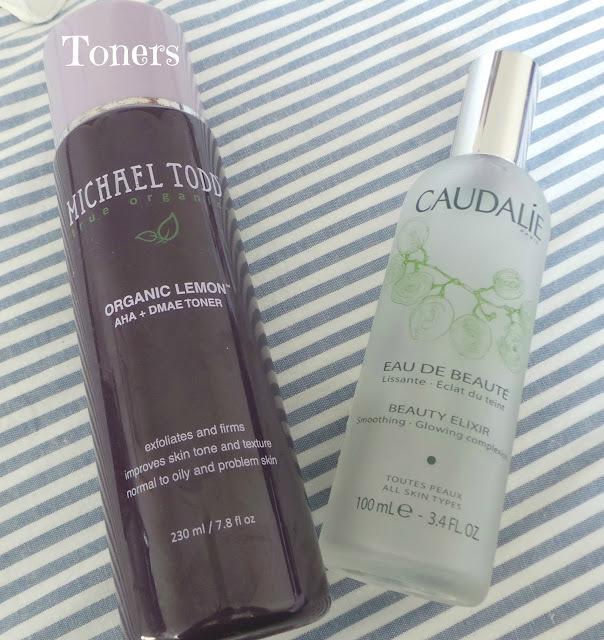 This was my first Michael Todd True Organics product and I absolutely loved this toner. It's smells so fresh and sharp and lasted such a long time. I used this as my exfoliating toner which I use every day in the evening after my double cleanse (unless I am using Alpha H Liquid Gold, in which case I double cleanse then just apply the Liquid Gold). It costs $18 (about £12) for a 230ml bottle and contains lemons, oranges and cranberries, soothing aloe vera and the all important AHA's for exfoliation, brightening and an even skin tone. You may experience a slight tingle when you first use it, that's the AHA's working. This toner really helped to keep my skin clear and also to help fade old acne scars. They do a whole range of toners, I also have the Blue Algae one. Although you can't buy Michael Todd in the UK, they do ship worldwide from their US website-I purchased mine from there and had it shipped to the UK. Would I repurchase? Yes!! I have a few exfoliating toners to use up but I would definitely repurchase this. What have I replaced it with? Biologique Recherche P50. This is a hugely expensive toner so it had better be AWESOME to beat this Michael Todd one! This is actually my second or third bottle of the Caudalie Beauty Elixir but I just don't think my skin likes it. In my skincare routine I use it as my 'hydrating' toner after my exfoliating toner. I love the fact it's in a spray bottle because it feels refreshing on the skin but I hate the smell and it always seems to break me out. I know people literally rave about this product but I struggle to feel the benefits. I do though, in general like Caudalie and their products do seem to suit my skin. Caudalie Beauty Elixir is a beauty water which claims to tone, refresh and tighten the pores in one quick step as well as fighting blemishes and setting make up. I am not convinced, it does refresh the skin for sure and dries very quickly and has a very fine mist spray. But it has a high alcohol content and I suspect the peppermint in it is what irritates my skin. It's expensive for what it is and I don't think I would repurchase again, even though it has taken me 2-3 bottles to reach this conclusion!! 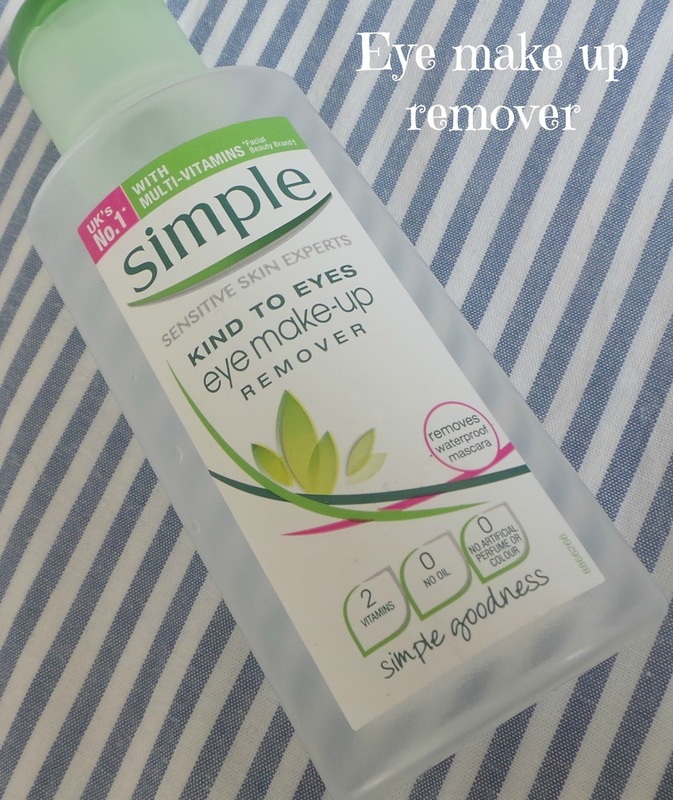 It'll be no surprise to regular readers to see the Simple Eye Make Up Remover in my empties post! I really love this gentle, non oily eye make up remover for removing the last traces of my mascara after I have double cleansed. Would I repurchase? Yes, for as long as they keep making it!! I honestly wasn't expecting much from this mascara but I loved it!! The only reason I have stopped using it is because the lid has got so gunked up it won't screw on properly which is really annoying! 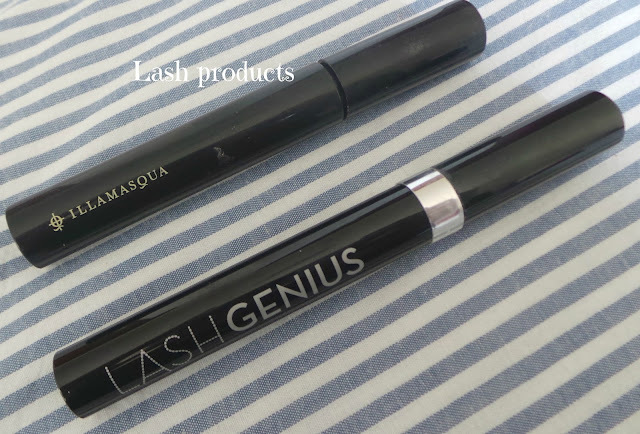 It does everything you want in a mascara-thickens, lengthens, holds a curl, doesn't flake or smudge AT ALL. Looks as good and blackest black at 8am as it does at 8pm. Has just enough 'clump' to thicken without clogging. One coat is all you need. Has a chunkier brush to what I usually like with a slightly taped end but I found it good for getting to every lash without ending up with mascara all over your lid. A surprisingly excellent find! Would I repurchase? On principle yes I would but I have about 20 mascaras in my stash so it won't be for a while. This is a great top coat for stopping mascara smudges and smears. Admittedly I didn't need to use it over the Illamasqua mascara but I have used it over it over other mascaras and it totally waterproofs them. I finished up 3 more make up items this month-2 deluxe sample size and one full size. A really nice glossy red from Make Up For Ever that was included in a Sephora Favourites collection. It looked more of a true red in the bullet but applies a glossy pinky red. The formula was moisturising as well as it contains capuacu butter. Not a brand that is readily available in the UK but you can buy MUFE from Guru Make Up Emporium and I have used them before and been really impressed. Here's what it looked like on. When I first started using this primer I didn't like it but as I got to the end of the sample I really started to like it!! This is a silicone based primer but doesn't feel as 'silicon-y' as something like Benefit Porefessional or Smashbox Photofinish. It needs to be blended in well as it is a white liquid with a blue cast which adds luminosity and when you apply it to the skin you really can see it blur and even the skintone. It also contains SPF. I still prefer the Smashbox primer to be honest but I would like to give a full size one of these a try! I really was impressed with this blotting/setting powder from Soap and Glory. It is transparent on the skin so suits all skin types. It doesn't add colour-it just blots shine. It's so finely milled it doesn't cake at all and I would say the formula is on par with the much much more expensive Hourglass Ambient Lighting Powders but without the 'effects' the Hourglass powders give. It blows the Rimmel Stay Matte powder out of the water and I managed to snag the last one in Boots in Manchester last week. UK beauty bloggers I urge you to try this if you haven't already! I am not known for loving drugstore make up but I am going to go out on a limb and say this is better than my Mac Blot Powder. The tiny niggle I have with it is when I hit pan and just the edges were left it seemed to harden and became difficult to get out of the pan on my brush. Would I repurchase? Just did! That's it for my December empties! Let me know if you have tried any of these products. They don't sell the Clinique balm here in Belgium.. But I'm going for a quick visit to London in March and I do plan to find a jar there! I'm all about balms lately. I want more of them!! I really really want to try Clinique 'Take the Day Off'! Everybody seems to love it! Yes, it looks and sounds very similar. Glad to hear the pots last so long, my Ultrabland has barely lasted a month! (the smaller pot). 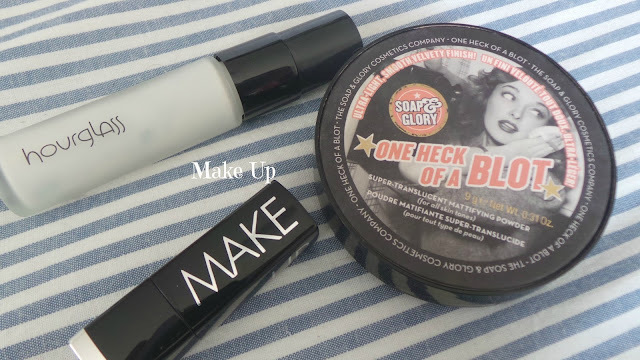 Soap and glory blot powder and the Clinique balm have gone into my wish list Stacey :) love your empties posts!